The introduction of a new control system has helped a hot isostatic pressing (HIP) company to improve product consistency and operator efficiency, while a proactive maintenance programme has helped with productivity and capital expenditure. Almost everyone in manufacturing today knows what it feels like to be under intense pressure. But how about 30 000 pounds per square inch (PSI) of pressure? 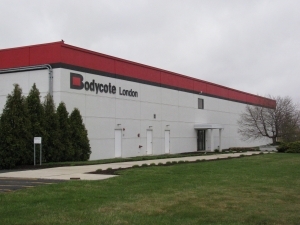 For Bodycote in London, Ohio, USA, a plant that provides hot isostatic pressing (HIP), that's business as usual. The plant processes parts for jet engines, gas turbines, automotive assemblies, medical components such as replacement joints and other items which must be made as strong as possible. In the HIP process, the parts are subjected to extreme heat and pressure, which makes them less porous and more resistant to stress fractures. 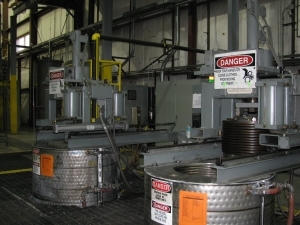 Multiple furnace units serve the plant. 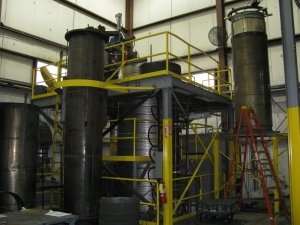 Customer parts are placed in a furnace, which is filled with argon gas. Then the unit is pressurised and heated from room temperature to approximately 1100°C, which takes about two hours. This high temperature is maintained throughout the process, then the furnace is cooled and the parts are removed and inspected. HIP quality depends on consistency and repeatability. Bodycote's customers rely on the plant to provide a uniform process, so discrete batches of product show consistent strength and density characteristics, run after run. Keeping the plant's units in top condition is very important. If a furnace were to malfunction, Bodycote would be forced to re-run the batch of parts. In the worst case, the company might have to replace the parts completely, which would have a severe effect on profitability. 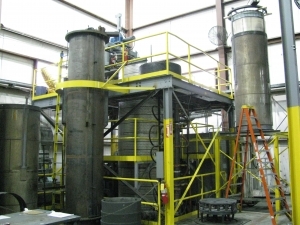 Another factor is that Bodycote's furnaces are physically different in size. Each unit heats and cools on a unique schedule, which must be controlled carefully in the HIP process and supervised by plant operators. Additionally, the company has to monitor its use of argon gas carefully. The pumps and valves on each unit control the pressurisation of the gas, which is very expensive. So maintaining the units in good working condition to prevent leaks is key to saving money. These challenges - providing consistent processes, maintaining the varied equipment and conserving resources - mean that the company is always on the lookout for the right operations management software solutions that can help the company succeed. The plant also needs these systems to help maintain its ISO 2001 certification. Wonderware Cincinnati, the regional Wonderware distributor for Invensys Operations Management (IOM), worked with American Isostatic Presses, a local systems integration company, to recommend additions to Bodycote's data systems. Their goals were to help Bodycote implement a preventative maintenance system, get improved visibility to operations data and increase operator efficiency and accuracy. Shawn Crawford, Bodycote plant engineer, appreciates the teamwork that went into the effort, "Everyone did a great job of using the Wonderware software to produce a user-friendly system that's quite outstanding." With the new Wonderware software, the company made a significant change to the way it schedules maintenance for the furnace units and supporting pumps, valves and components. Before, the plant managers used a calendar to plan upcoming maintenance. For instance, vacuum pumps were estimated to need repair or replacement every six months. At that time, the pump would be taken off-line for inspection, regardless of whether it exhibited any signs of wear and tear or sub-standard performance. But with Wonderware System Platform and InTouch software, accurate real-time data on the operation of all of Bodycote's equipment is available. This has enabled operators to monitor valves, pumps and other parts closely, and perform maintenance only when it's actually needed. This not only helps the plant achieve a higher level of productivity, but it also enables operators to repair equipment before failures can occur. 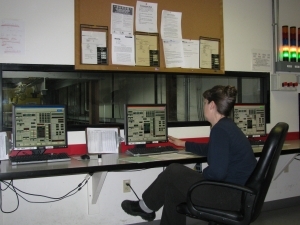 Additionally, operators can watch overall operations for the furnace units and other areas of the plant from one location. This means that fewer employees can do more work and, because of the reliability of the system, they can also perform extra duties during their shifts. But real-time data is not the only advantage Bodycote gets. The Wonderware Historian software provides management with the historical data they need to extrapolate furnace life and better plan for future capital expenditures. Because millions of dollars worth of equipment are required for the HIP plant, this is extremely important. 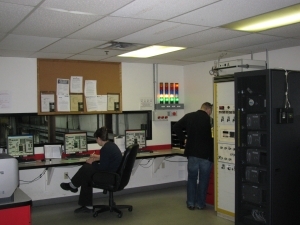 Before adding Wonderware software, Bodycote's operators used 'touch and feel' to regulate power to the furnaces and maintain consistent temperatures. With the different furnace sizes and other variables in the environment, even the most experienced operators were put to the test. With the new system, recipes for repeated batches are programmed into the Wonderware software. This has improved consistency over multiple runs, and has increased customer satisfaction. When a customer has a question, it can be answered quickly and in detail, thanks to the new reporting capabilities. The reports can prove adherence to a recipe, or can pinpoint the exact time and parameters of a change in the process. The need to re-process parts due to temperature fluctuation or operator error has been nearly eliminated, and Wonderware SCADAlarm software alerts operators to equipment that needs attention, or triggers an automatic shutdown if a pre-determined threshold is exceeded. When asked, Crawford is quick to point out that the most important feature of the new Wonderware software solution has been its usability. He says that everyone in the plant enjoys working with it. Diagrams and on-screen icons representing equipment, configurations and recipes are easy to see clearly and quickly understandable. He points out that there are many different screens, but not so many as to confuse operators - even less-experienced ones. As a matter of fact, Bodycote plans to use the Wonderware software for training. Example runs and problem situations can be simulated so operators can learn how to react. And these exercises can be accomplished without taking the plant systems offline, so there's no impact on productivity. The Wonderware software has brought Bodycote the stability and repeatability required to turn out consistent products for its customers. It has improved preventative maintenance and the ability to cut costs for resources such argon gas as well as reduce expenses due to production errors. And not only that, the new solution has been popular with management and operators alike.